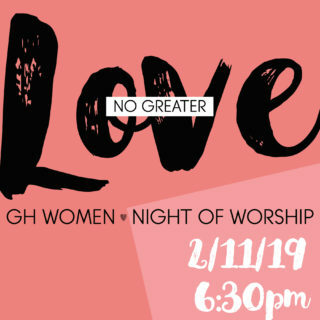 Ladies, come enjoy an evening of worship with us! We will serve coffee and desserts and have meaningful conversation about love and relationships. No matter your relationship status, you are forever loved and pursued by your Creator. There is NO GREATER LOVE than His for you.